“Encouragement or Praise – which is better?” is the title of my latest post on Parentous. I was scheduled to publish a post on Parentous yesterday. Since I had to send the post two days before the publish date, I was sorting through ideas in my mind on May 26 when the phone rang. 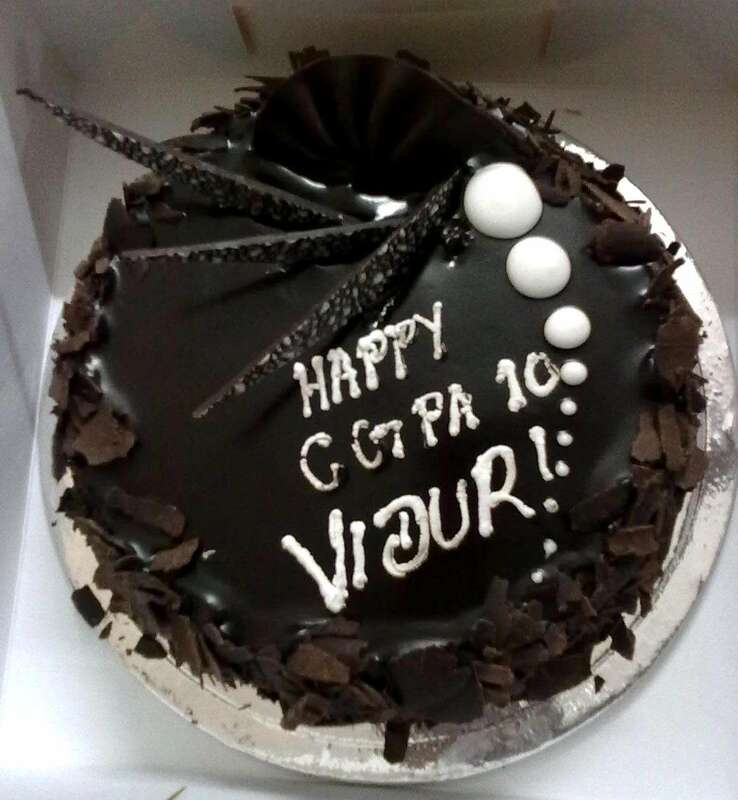 It was Vidur’s classmate calling to tell him that their 10th grade exam results were out! We stumbled over each other, rushing to the computer to log in to see how Vidur had fared. Now, Grade 10 is a major milestone. While we really had no doubt as far as performance was concerned, Vidur was a bit anxious because he was sick during the exams. We were excited to see that he had scored Grade A1 in all the subjects and a CGPA of 10 out of 10. Great going, indeed! Of course, I burst into tears and Vidur hugged me, telling me that it was our encouragement that always helped him. What a beautiful thing to say! I also realized in my mind, that I was quick to encourage – and slightly slower when it came to praise. And that is how the topic for my parenting post came about. As it happened, even as we reveled in the good news, the doorbell rang. Guests. So – naturally it had to be party time. Sury quickly went and got sweets and we – all 12 of us – comprising of three generations – settled down to a healthy debate about which was better…. By definition, praise is an “expression of approval, commendation, or admiration.” while encouragement is to “inspire with hope, courage, or confidence”. When it is a question of encouragement or praise – encouragement is the answer, most of the time. My logic for this is: encouragement is about the journey and praise is about the destination. Continuous encouragement (through the process) enables a child achieve the desired outcome – which then deserves praise, depending on what it is. Point is, whether we praise or not, encouragement is a non-negotiable – a must-do!. I believe in positive parenting and one of the things I’ve realized is: parenting is a life-long learning process. Sometimes a tough situation has the solution hidden in it, if only we’d see the big picture. Sometimes it is so easy to miss the forest as we focus on the trees! I consider myself very blessed to enjoy a wonderful relationship with my son. Be specific rather than general while giving feedback. Highlight the plus points. Be honest. Children know when you are paying lip service. Please do read my post “Encouragement or Praise – Which is better” at Parentous. I’d love to know what you think! I’ve listed what I’ve learned in relation to encouragement or praise. I have also talked about the different ways in which we encourage Vidur. Thanks! more than 22 carefully selected e-products by renowned authors – some are only available as a standalone through this bundle! answers to the most pertinent parenting questions in a variety of formats: e-mail courses, e-books, audio, and e-magazine. topics including children and food, nurturing creativity, relaxation for parents, connecting through play, peaceful parenting, parenting through divorce, and many more. An investment of approximately $1.13 per eProduct! There are 3 resources for stress relief for parents, 6 peaceful guidance tools, 5 creative play resources, 3 motherhood resources, plus bonus resources and a freebie! This post is important for teachers as well as for parents. The most dramatic example for me was as a journalism teacher. I learned that the best results came from highlighting the best sentence(s) in a student’s writing, and saying “Give me more like this.” No critique at all. For the first two weeks, the grammar critic went to sleep, and the end result was award-winning articles from nearly every student. We succeed by knowing what success looks like. That’s what encouragement gives. Thank you for a wonderful post, as always! I just love what you said about highlighting the good parts, Carole! What a wonderful thing to do! I am sure that student remembers you with a full heart. The effects will be lifelong. It is nice to sometimes let the critic take a holiday and let the good times roll 🙂 There are many times when my son does something and my first reaction is annoyance – but I’ve learned long ago to control it and find the good intention behind the action. Thank you for your wonderful input. Great advice! I would have to say that encouragement would be better. I didn’t really receive a lot of encouragement as a kid nor praise. I feel that encouragement like you said during failure is essential to a child getting through problems and facing them and overcoming them which in turn helps develop a healthy self-esteem. Whereas praise for only accomplishing makes a person develop a self that hinges on achieving things, so when the person fails they are destroyed. Failure is inevitable. Encouragement is the way to go. Hugs and thanks. Always appreciate your support! 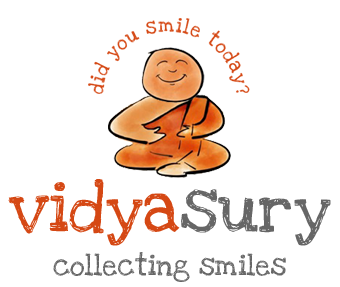 Thank you Vidya for the wonderful post. First of all accept my conrats for the brilliant result of Vidur. Thank you, Usha. The school just put up the list for Class 11 today and he has been accepted. Didn’t doubt it, but still – until it is in black and white, we tend to worry! 🙂 Glad you dropped by! such a thought provoking post. i also personally feel that it is better to encourage our children than simply praise their efforts. when we encourage, we prepare them to handle unknwn situations too. we make them see the unforeseen as something exciting to happen, not just be afraid of. You are right, Koyel. When confidence builds, we feel ready to tackle most situations. Beautifully said by you! Thank you – so nice to see you here! I just wrote down what you said on a sticky to put in my diary! Beautiful! Hugs! I love how you encapsulate so much in a few words! Although encouraging someone who is in the process of reaching a goal is always a good idea, I think people need praise as well once they have reached a goal. There are so many people who have done such marvelous things who really are not sure if they’ve achieved what they’ve gone after all because no one has told them what an excellent job they have done. Most people have troubles with self-confidence. By giving a little praise, they understand how worthwhile their contribution is. Well said, Glynis! While I feel that encouragement must be abundant, praise definitely matters from time to time. Imagine not congratulating someone on a job well done! :-) It is just that encouragement is an ongoing process – the benefits are longer lasting. Praise is like the icing and cherry on the cake! Encouragement is indeed better than praises. My son is 10 years old. I always praise him when he does well. On the other hand, when something goes wrong, I’m guilty of criticizing instead of encouraging. Many thanks for sharing. Hi Julia! 🙂 I think we’re all guilty of criticizing when something goes wrong. It is natural and human. I am learning not to voice criticism spontaneously – it is better to try and find it in ourselves to encourage – nobody wants to be squashed when they’re already feeling down! 🙂 I had a good example in my Mom, who was determined to find the good part in everything! Thanks for your comment, Julia! 🙂 Thanks, Deepa! He was worried as he was sick during the exams…although we did not worry. I am glad in our house even raised voices is very rare (unless we’re singing in a high pitch ;-). I would never dream of even thinking of the rod! I find that being gentle but firm works like magic. Children are logical people and will listen..it is just that as parents, we feel under pressure and are too impatient. Most of all, children are understanding. Cushioning them all the time is not the best idea – 😀 according to Vidur, it is nice to make mistakes once in a while – because the lessons learned are never forgotten! I completely agree with you here Vidya. Yet to become a parent but as a child have been there, done that and yesss encouragement is equally important and comparison is something we should refrain from. Great point, Privy! 🙂 I think, in many ways, my own experiences define me as a parent. And boy, was I lucky to be my Mom’s daughter! 😀 Compassion is the key! Thank you! Great post Vidya and Congrats to Vidur. I think both encouragement and praise are required. I also like Carole Remy’s idea of “give me more like this”. Thanks for your kind wishes, Suzy. Yes, I loved Carole’s comment! ViVidya-A post close to my heart. I have always felt that praise is overrated in our society- at least when my kids were growing up. I observed how parents constantly praised their children regardless of the outcome. This kind of reflexive behavior leaves a child with no sense of reality. Encouragement on the other hand is a way of letting someone know that you believe in her…..regardless of what the situation is. If a child gets a ‘C’ in a course and you know they can do better, letting them know that you know they can improve that grade and setting up strategies to guide them is just good parenting. It gives your child a real goal to shoot for. Its a very nice post, Vidya I agree with what Kaarina said about encouragement being the main ingredient and praise to be sprinkled. Great message! 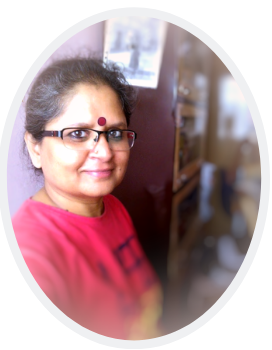 Thanks for sharing these great tips on parenting Vidya…..Encouragement Vs Praise…I would choose encouragement. Congratulations to you all, Vidya! What a marvelous achievement!